Reading- In Wake County and in our classroom, we implement a reading structure called The Daily 5; this is a structure that helps develop daily habits of reading, writing, and working with peers that will help transition your child into becoming independent readers and writers. The Daily 5 consists of 5 stations: Read to Self, Read to Someone, Listen to Reading, Writing, and Word Work. This structure helps build your child’s stamina and ability to focus on reading and writing as they work independently to read, write, and work with words. The students have already learned and have begun practicing how to choose a good fit book that has purpose, interests them, and is not too hard or too easy for them to read and enjoy. In addition to The Daily 5, we are also implementing the Daily Café. This offers your child a “menu” of strategies that are helpful to them as they learn to read and understand the books that interest them. During the Daily 5/Café time, I will be pulling strategy groups as well as guided reading groups (these groups will vary from week to week depending on the skill we are working on and your child’s needs). I will meet with my groups daily; reading every day is important for your child’s literacy success. I will make sure your child is reading at school to help build his/her skills; please make sure they are reading at home too! Your child will come home with a book for the week to practice reading as well as a weekly reading packet. We will also be using the school adopted reading series each week that will help us focus on important literacy skills. Writing - Your child will be participating in Writers’ Workshop based on the work of Dr. Lucy Calkins and the Teachers College Reading and Writing Project. Your child will also progress through the North Carolina Literacy Assessments. We will use a developmental approach to teach writing, which will permit your child to pass through a variety of writing stages before reaching the ultimate goal of standard writing. As they progress toward this goal, children will view themselves as authors as they use the writing process (prewriting, drafting, revising, editing, and publishing). 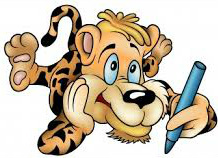 Your child will be taking part in writing narrative, informational, opinion pieces throughout the year. Click below to see Wake County's Writing Rubric and expectations for these written works. Spelling – In first grade, we will continue using Letterland, the phonics program your child learned in Kindergarten, which was adopted by Wake County Public Schools. Letterland is a unique, phonics-based approach to teaching reading, writing, and spelling. The Letterland characters transform plain black letter shapes into child-friendly pictograms that live in an imaginary place called Letterland. Simple stories about the Letterland characters explain the full range of dry phonics so that children are motivated to listen, think, and learn. These stories explain letter sounds; allowing children to improve their word building, reading, and writing. Math - Wake County Schools uses a set of Math Alignment lessons that correlate to the Common Core Standards. These Alignment Lessons possess strong emphasis on number sense and problem solving while encouraging critical thinking. Science - Just as in math, science will focus on using and strengthening your child’s problem solving skills. The science curriculum in first grade focuses on four areas of science including earth materials, balance and motion, living organisms, and measurement. We will be using a scientific approach to studying these topics centering around questioning skills. Inquiry will be a big focus in our science activities. In looking for answers, students usually start with free exploration of materials, followed by a discussion of their discoveries. Usually new questions arise while students seek answers, leading to additional student-motivated inquiries with materials to reinforce and extend concepts. We will also be participating in taking care of our school garden – “The Grow Zone”! Social Studies - Social Studies will surround topics such as family, community, responsibility, mapping skills, wants and needs, and holidays. The children will be creating “Mini-Me’s” to assist us with our journeys as we learn about these topics. Also, we are working hard to try to teach our students how to be good citizens. Throughout the year each month will focus on one particular character trait. The character traits for the year include Responsibility, Respect, Courage, Kindness, Self-Discipline, Integrity, Perseverance, and Good Judgment.